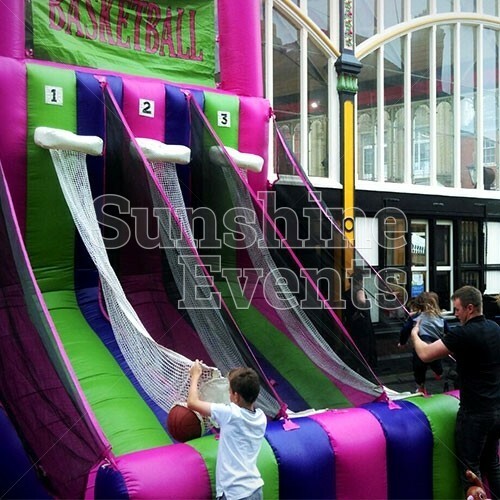 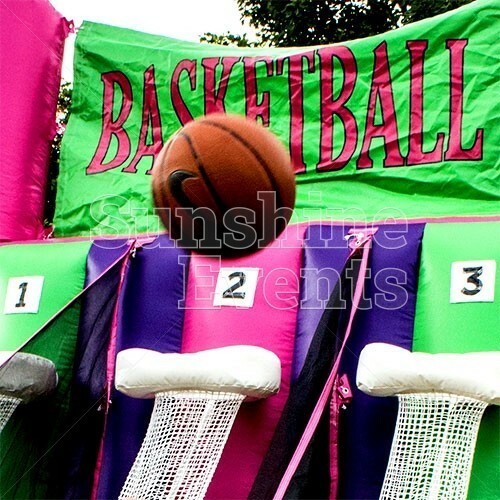 As a huge inflatable version of the popular funfair game, the Basketball Inflatable Hire is one of the most popular of our inflatable game hires. 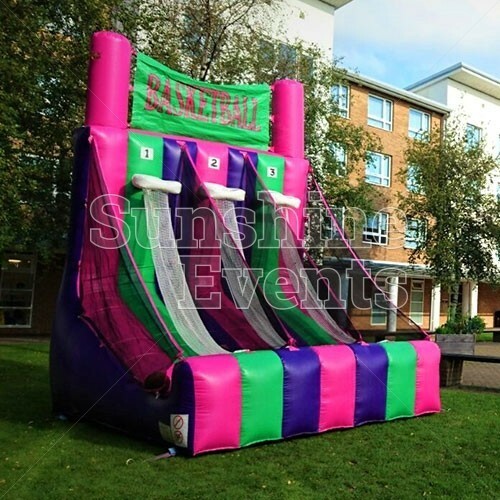 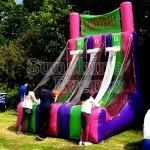 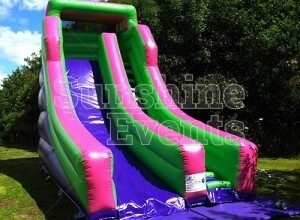 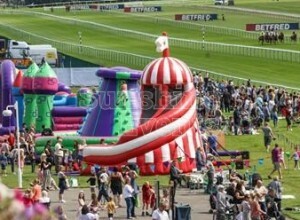 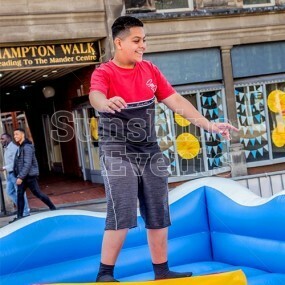 The bright and multi-coloured inflatable makes a fantastic addition to funfair and carnival based events, as well as fun days, weddings and all kinds of relaxing days out. 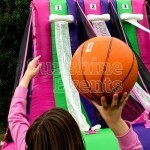 Simple games are often the most entertaining and the Basketball Inflatable is no different as three people at a time can try and sink the basket into the hoops overhead. 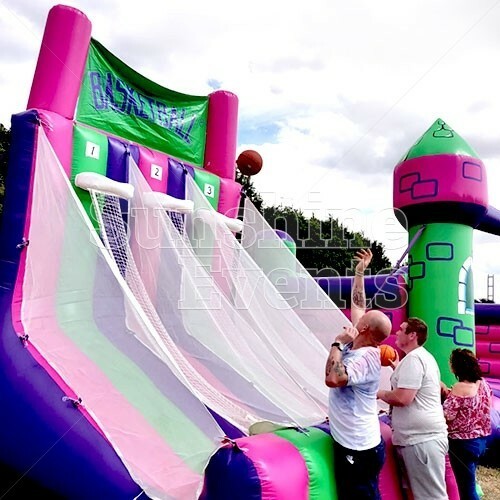 The real trick here, lies in a well aimed shot, as the soft inflatable nature of the equipment only adds to the difficulty as a shot deflected off the back might not necessarily bounce in the same direction as from a stiff board. 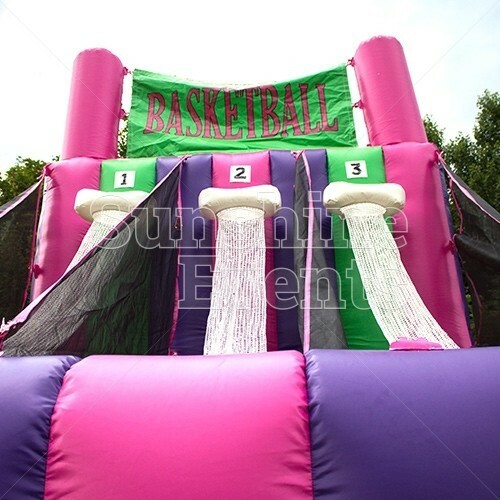 But once you’ve got the knack, you’ll be competing against your friends and family to become the slam-dunk champion! 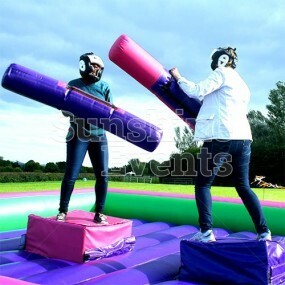 And just like any other competition, players will come back for more to indulge in a rematch. 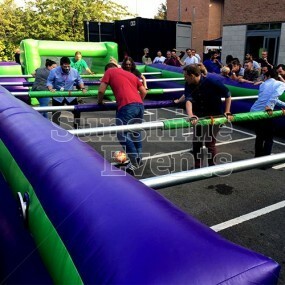 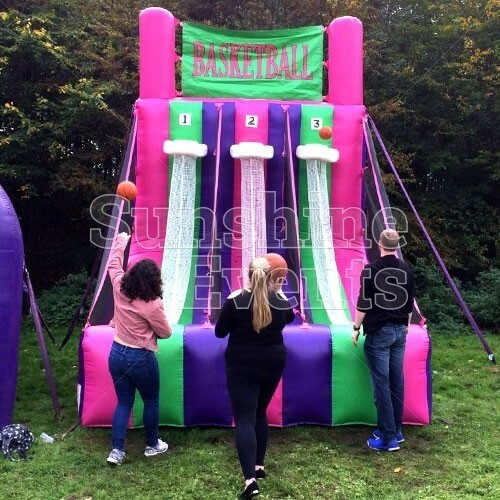 Despite its huge size the Basketball Inflatable can also be used for indoor events, providing you have the headroom and you’ll be certain to see queues forming as grudge matches start to develop over the course of your event. 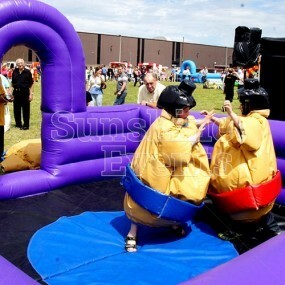 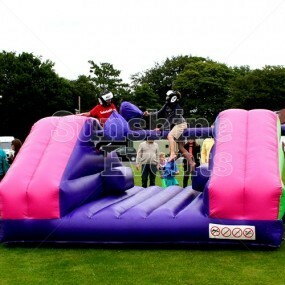 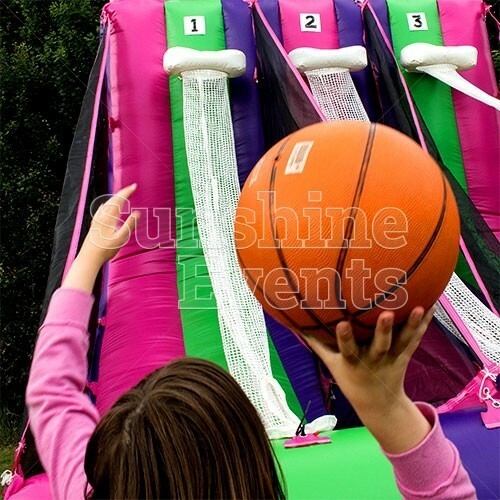 What events are the Basketball Inflatable Hire suitable for? 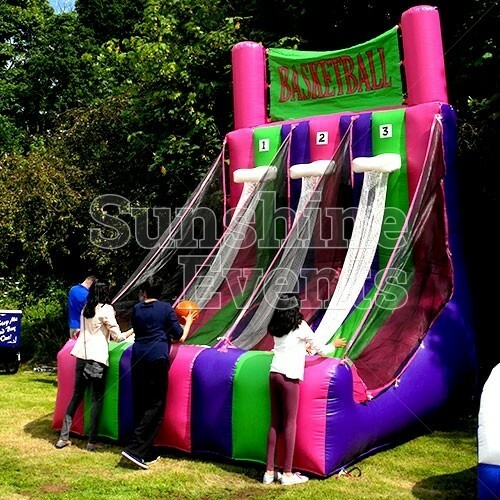 Hours of fun are the order of the day when you hire the Basketball Inflatable, as it’s perfect at all kinds of events - it’s the perfect add-on to a fun day or funfair event, so make sure you snap it up! You would need to be Michael Jordan to win this game; all you need is some determination and just a little bit of luck! 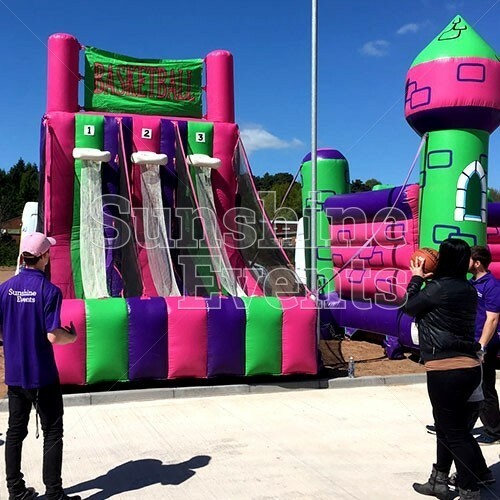 Call the Fun Experts now! 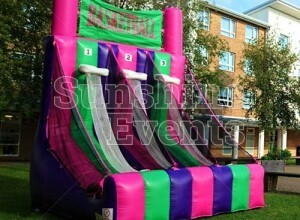 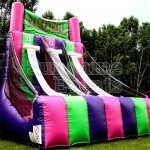 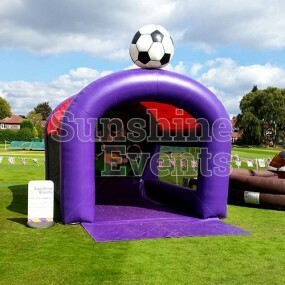 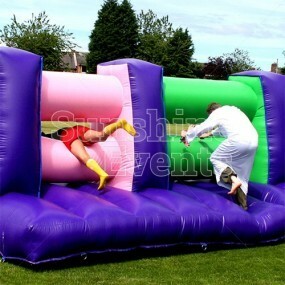 Basketball Inflatable Hire has been added to your Event Quote.